In this first of a two-part feature, Oliver Friggieri recounts how, relying on his own research about being Maltese, he has sought to define and interpret Malta and life on a small island through his novels and short stories, now translated into various languages. The fact that Malta still cannot settle on a single national day is not a simple partisan question. If it is correct to conclude that duality has been explaining most issues for a long time, perhaps since prehistory, it must be equally logical to conclude that five is/are equivalent to two. Two involves choice, as much as it implies conflict. Can such a tiny, fragile national community survive if it lacks such awareness? Certain factors have forcefully contributed towards the definition of Malta, at least that Malta which is immediately identifiable in terms of its objective characteristics: the unique geographical position midway between two distinct continents and constituting part of the frontier of one of them, the long colonial experience, the composite nature of its history and culture, the strong and uninterrupted religious tradition which is as ancient as its exceptionally early free-standing stone buildings. Simply the oldest of this type, and yet pertaining to an unpretentious tiny rock. All this is contained within a very small space, which is also complete, constituting a whole. Smallness and entirety: that is the first paradox, begetting the rest. God created elephants and God created ants, and He is equally marvellous in both cases, perhaps much more in the latter one. An ant involves implication, a way of ‘putting it all in a nutshell’. Indeed, a living universe almost invisible, demanding knowledge and astonishment to be somehow appreciated. And that is where the idea of a novel creeps in. Perhaps the past can be narrated also through intuition, and not only through reasoning. The heart is frequently more perceptive than the mind. Historical research has successfully sought to identify and to describe in detail what makes such a minute stretch of land a nation, and eventually an autonomous state, as any other. An exception to the rule, to the point of eventually claiming to be a full member of a Unified Europe, an EU which will soon be simply known as Europe. The island’s smallness is already an indication of something peculiar which has managed to stand the arduous test of time, to outwit the dictates of history and to finally arrive at the phase which defines a nation as fully accomplished. The fact that Malta is now the smallest member of the EU is a significant indication of the persistence with which the Maltese have traditionally stuck to the conviction that their nationhood should be finally rewarded by all. That is Malta, the nation and the state. A will to be. But what about the inhabitants, those few thousands of people who have persistently built themselves up into what they are today? Survival is the ultimate rule of the complex game, and continuity is the sort of process which made them reach their seasonal destination. That is why a history of Malta may be substantially distinct from a history of the Maltese. Where were they, all along, so productive – through their highly fascinating and resourceful spoken word, and their finely carved and constructed stone – and yet so conspicuously absent, unacknowledged? The land and the inhabitants: they are or have been for quite a long time two diverse entities, since history has put the people in a situation wherein they had to spend most of their life asking who they were, what right they actually had to exist, what sort of relationship could be the most convenient for them to establish with their foreign landlords. One thing they have never put in doubt: the land was theirs. Religion (pre-Christian and Christian) and language (pre-Maltese and Maltese) have actually moulded their condition, giving shape to their frame of mind (their grammar amply testifies to this). Both are intimately intertwined in a manner rarely found in the chronicles of enormously bigger countries which did not have to face the most elementary among problems: survival. Faith and language have helped the Maltese defy the incessant challenges of time. If, or when, both succumb, that will be the unhappy ending of the story. The harshest onslaught of all is perhaps today’s. The ultimate problem of Malta is Malta. The challenge of overcoming extinction went hand in hand with striving to construct nationhood, to keep alive that degree of collective coherence necessary for a community to be defined as something unique and compact. For a long time, it all seemed to be important to guarantee existence at least in terms of the primeval notion of common social conviviality. 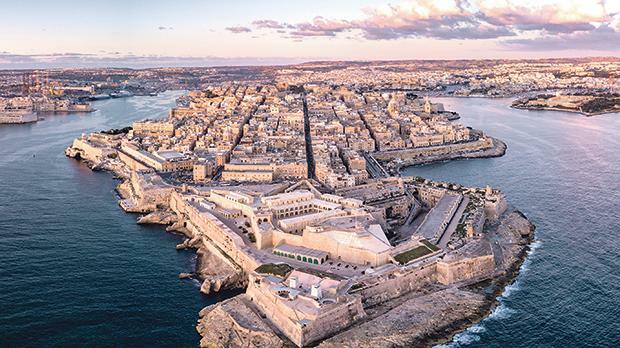 In any case, whichever the complex implications of such premises, one can safely consider Malta as a very old nation, endowed with a civilisation of at least 7,000 uninterrupted years. Being Maltese, therefore, is equally a source of authentic pride and a matter of self-investigation. Being Maltese is itself a question. That question can be answered both scientifically, through documented conclusions, and literarily, through the creative, imaginative construction of a novel. If both endeavours could be associated to form one unique process of discovery, then that is quite fine. Academic research provides conclusions which literary perception can then amply reorganise into a meaningful narrative. The fundamental issue still beckons: what does it actually mean to be able to survive and to eventually define yourself as Maltese? To me it has instinctively been an equally existential and historical query, and has gone a very long way in providing me with material of various sorts for my narrative works. In academic research things could not be substantially different, but in that field matters have to be dealt with and analysed clinically, with complete detachment. In creative literature imagination and memory, the ideal and the real have to play a simultaneous double role, and results are unpredictable since individuals do not easily fall within the predefined patterns. Even structural criticism makes an allowance for such divergences. I have sought to explore the close quarters of the Maltese soul (religious, Mediterranean, southern European, insular, peripheral) in my poetry, novels and short stories. Such remote and shaded territories are normally unsung, unacknowledged, perhaps disowned, only to be considered as mere aspects of outdated, irrelevant folk life. Beyond being a Nationalist or a Labourite, there is something abysmally deeper. There is much to prove that such residues of the past, especially as may be rediscovered through fiction, betray traits of archetypal modes of perception and behaviour still enduring in the post-modern inhabitant. In spite of the MLP-PN persistent claim to parenthood, which is not at all unwarranted, we are inevitably and simply Maltese, a fact forcefully preceding the recent formation of our partisan grouping. This has proved to be a beneficial acquisition, an indication of how close to continental belief has been the Maltese spirit during the British period. Our modernity has been moulded in terms of a truth much deeper than itself. Perhaps, by way of opposites, another conclusion is plausible: bipartisanship may be even older than the political parties themselves. A strong plant needs soil. The French period is already indicative of duality: for instance, Mikiel Anton Vassalli and Dun Mikiel Xerri, both exemplary in their own way, are so similar and yet so distinctly different. And there starts the long, weary story of our modernity. All this I have learned and revisited continuously in the process of constructing seven novels over about 38 years. The period of actual writing is much shorter, but the thinking course is incessant and occupies the whole range of time. A novel takes much longer to be felt and thought, digested, than to be designed on paper and then written down. Inner experience is thus put into shape, and I would say that a novel is nothing more, and nothing less, than the shaping of something initially vague, or else too obvious to be taken seriously. A novel is a question. Then revision comes next, involving scrutiny of all sorts. The central point is the reality of someone living on a tiny sunny land surrounded by the infinite ocean. The inhabitant is hardworking, stubborn, kind, determined, unrecognised, and has two constant points of reference: his God (omnipresent, eternal, almighty) and his range of land (here and now, restricted). Both have never failed him/her. The land is minute and the sea is infinite; both contradict the inhabitant’s innate sense of space and preciseness. But opposites resemble each other, and so the security of faith and the pervading feeling of precariousness blend together. So it has been, and so it still is, when a whole cultural heritage is being consistently dismantled. An island is thus seen as an open secret, an exception to the rule of the much broader spaces, a peculiar reality worth exploring which is quite different, perhaps more intriguing and inspiring, from the one a visitor may get on the mainland, the so-called ‘terra ferma’. In the specific case of Malta, things are perhaps much more engaging. Here a whole continent finds its uttermost boundary. The periphery begets a special sensation. That is what can be sought within oneself and, consequently, through the depiction of characters and situations in a novel. At least that is what I have sought to do in my novels. In Fil-Parlament ma Jikbrux Fjuri (In Parliament no Flowers Grow, 1986), an average Maltese citizen, ironically named Karlu Manju, questions all, talks to himself and to everybody and eventually seeks his origins in the magnificent old temples. He must have been born in the whereabouts of Mnajdra, Haġar Qim, Tarxien Temples, he who lives now, in an urbanised spot. He goes on a walk all alone on that day, preceding elections, when PN and MLP organise their own final mass, massive meeting, a real show of strength, a tough tug of war, then dutifully followed by a silent day of reflection... or revision of choices already made. The novel seeks to discover whether Karlu Manju is actually a member of the group. There he goes, through utterly desolate streets as both mass meetings duly unfold, on his way towards the ancient temples, where his credentials for his modern claims are held, defying time. Is he a member of a third hypothetical party, or just an undercurrent within the two mainstreams? The concept of unity, oneness, is fundamental to both major parties. Twoness would amount to imperfection. A whole tradition of thought is implied in such simplifications. Malta is indeed, albeit unconsciously, Mediterranean, in spite of itself. A study of the essential vocabulary repeatedly employed by the major political parties will easily prove this. One minimal underlying language serves them both. Where can one really strike a middle course? For instance, if the record of history cannot provide us with a unifying national day, can we, or should not we, create one artificially? Yes. This is the essential list of elements constituting this unique exception, a diminutive island which is equally a city and a nation, a geographical dot and a formidable fortress of history, standing midway between two continents, belonging to the south of Europe and so close to North Africa, looking very far ahead from herself. A dynamic paradox? Perhaps that is what makes Malta worth narrating through novels, both as a given reality and as a paradigm of being, whoever, wherever. I have tried to do so in my novels Fil-Parlament ma Jikbrux Fjuri, Ġiżimin li Qatt ma Jiftaħ (Jasmin Blossoms for all Time, 1998) It-Tfal Jiġu bil-Vapuri (Children come by Ship, 2000) and Koranta and Other Short Stories from Malta (1994), all issued by Mireva Publications. I have sought to delve even furthur into this matter in the sequel to It-Tfal Jiġu bil-Vapuri, namely La Jibbnazza Niġi Lura (When it Clears I will Return, 2006), as well as in the third novel in the series, still unpublished, Dik id-Dgħajsa f’Nofs il-Port (That Boat in the Middle of the Harbour). While narrating through fiction the modern ‘history’ of a country in my own way, I found myself coming to grips with what makes it worth discovering. Indeed, ‘to be’ is not equivalent to ‘to know’. Ġiżimin li Qatt ma Jiftaħ is set in the late 50s, whereas It-Tfal Jiġu bil-Vapuri and La Jibbnazza Niġi Lura reconstruct the early decades of the twentieth century and years later, namely phases of the British period. Everything is meant to depict a sort of Malta which is sadly no more, but which will presumably reside in the memory of various generations, enticing the younger ones to imagine and to dream of a future partially resembling the past. It is all meant to be a tribute to our foremothers and forefathers who passed away without ever being complimented for all they have done: to create a nation out of nothingness and through sheer belief in what they were. Is this all irrelevant to the present? Of course it is, only if a plant can survive in isolation from its roots. Perhaps globalisation, merely substituting the previous forms of dictatorship through the unwarranted intrusion of the media on individual life, is heading towards something of this sort. So the island portrayed in these novels may actually be somewhere within us, timeless. It still persists. Is it possible that tourists choose to visit such a remote rock mainly to discover a feeling islanders inevitably experience all time? The situation in Malta during the British period may be a fitting setting to evoke such a perception. The contemporary period, which in certain respects can be easily called ‘the self-destructive period’, can lend itself to much thought in this regard. A tentative answer only begets questions, at least in literature. All these novels, I now come to understand, are inherently related to each other, based on my knowledge and experience of the British period in Malta, namely in Balzunetta, Floriana, so endearing, and fascinating, and intriguing, so colourful in the way it was experienced by our forefathers and by us who can fully recall its final phase. The portrait I can thoroughly provide is related to the Grand Harbour area and to Balzunetta, both of which I have done my best to reconstruct and to evoke in highly respectful ways. It has been quite alluring to draw on dear memory and to enliven it with imagination. The Maltese themselves, deprived for many centuries of the recognition of their speech medium (Maltese) in official life, had to rely on memory (verbality). Our nation is actually built on our collective memory. I have tried to interpret this fact through characters who never write anything. A pre-alphabetical era, ancient, indeed modern, or even post-modern, contemporary. Spoken verbality is the national unwritten archive of a community. Does this imply that the real soul of our people has died a silent death? Indeed, words are people. An important character in these novels, Katarina, embodies all this. In other respects, she is a remnant of something on its way towards extinction. Archaeological evidence pertaining to Malta goes back to 7,000 years. Here are the oldest free-standing stone buildings in the world. Its megalithic temples are a marvel, the earliest “churches” which have actually established the major feature of Maltese identity: the unity between religious faith and national culture, predating our ancient Christianity itself. Both belief in Our Lord and love towards the country (‘Religio et Patria’ for the Nationalist Party and ‘Malta l-ewwel u qabel kollox’ for Dom Mintoff’s Labour Party) have uninterruptedly flourished together in partial isolation, indeed a splendid one which has not deprived any of what is essential and common to any other anywhere else. It then had to be St Paul, shipwrecked and warmly welcomed, to give a different and much more distinctive mould to that pre-existing conviction that heaven and earth must meet somewhere in the human soul, if both are to have any meaning at all. They do meet in the Maltese spirit, and that is quite interesting for anybody who would like to look at Malta from the inside. An X-ray instead of an average photo. That can be done through a novel.